I am the Maintenance Manager at Mantra Legends Hotel and we had Element fire doors complete and full replacement of 42 of our room doors and several repairs on property. Ryan was a pleasure to deal with and worked well with us every step of the way. Always on time and his work was at a very high standard. His prices were extremely competitive to our other quotes. I would highly recommend Element fire doors if you are in need of fire door services. Ryan has replaced many of the fire doors in our building and we have found his work to be of a very high standard. We will definitely continue to use Ryan for the rest of the doors. He is very reliable and courteous and we would highly recommend him. Being in the Body Corporate Management industry it is imperative to ensure that all of your Strata schemes comply with Fire Regulations. 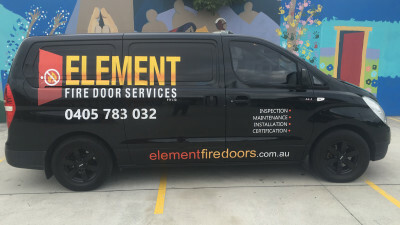 I have professionally been involved with Ryan Cameron from Element Fire Door Services over the recent months who identified that the Fire Doors installed in one of the Strata Schemes are in fact Korab Fire Doors and these doors were recalled back in 1999. Prior to engaging Ryan’s services two other Fire Companies recommend to repair the doors and Ryan was the only one to advise us this would have been illegal. Ryan went above and beyond providing the Body Corporate with the information required and the next steps to follow to ensure compliance. I recommend the services of Element Fire Door Services to all of my clients.